Twelve years ago Paul (Pike) Seeger joined Seger & Strauss. He’s handled a bunch of high-profile pro bono cases and was twice elected President of the National Bar Association. Pike taught Constitutional Law and Trial Practice at both USC and UCLA law. He’s filed some big-time lawsuits, made national headlines during the seventies as a litigator, and won class-action consumer and environmental cases on behalf of the California Environmental and Consumer Protection Agency (CEPAC). Then Pike got the call from his old Stanford law school buddy and ex-coworker, now the United States’ Attorney General, that the President has short-listed Pike as a Supreme Court nominee. 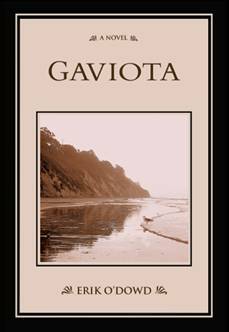 Gaviota, A Novel takes us on adventures from Gaviota to one hundred miles south, within the basement archives of the City of Los Angeles’ District Court’s old federal courthouse. From the file of U.S. v. Anonymous, Pike’s legal secretary, Gladys, translates the old court reporter’s shorthand from Swedish to English. That’s it. No more teasers. Gaviota is a novel and a mystery, a thriller, but basically, a super good read. Keywords are: WWII, concrete, road contracts, Camp Pendleton, Oceanside, Gaviota, Santa Barbara, Ventura and Los Angeles counties, steelhead fishing in the Santa Ynez mountains, family, success, loss, and righting wrongs. You will be the jury of Gaviota and can only make a decision based on the facts found.